Sandra Stancliffe will be presenting Pride of Place: ‘Gay Buildings’ and England’s LGBTQ Heritage, as part of the National History Day on Saturday, February 20th. 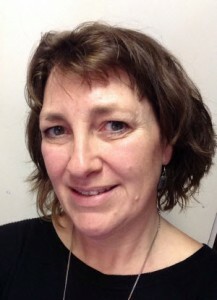 Sandra has worked in the area of public engagement and heritage for 23 years. She has worked at museums in Derby and Carlisle and was at Bristol Museums Galleries and Archives for 12 years. She was then employed by English Heritage as Education Director and Head of Education and Interpretation. Since April 2015 she has worked for Historic England where her role as Head of Education and Inclusion includes overall responsibility for the Pride of Place project. She speaks regularly on the theme of increasing participation in heritage through learning and engagement programmes and is constantly striving to ensure the organisations she works far are inclusive in their approach. She is particularly interested in the role of heritage in shaping sense of place and identity. Sandra has lived in Knowle for 15 years. She is also a trustee of the Bristol Architecture centre and a Governor at Victoria Park Primary School.